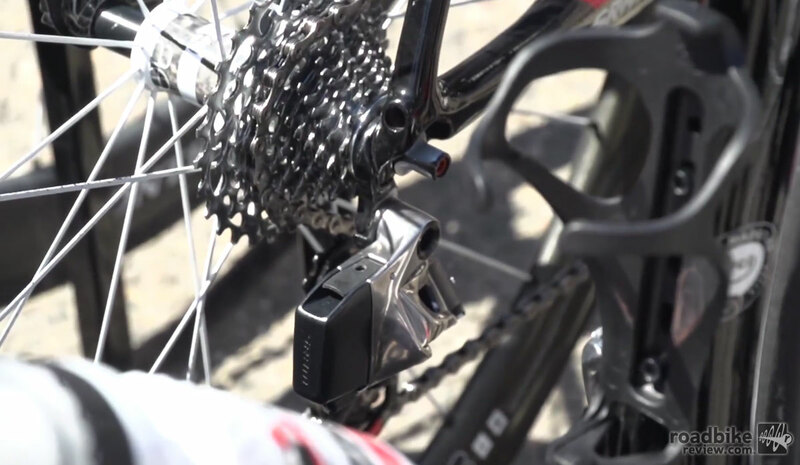 No more junction box or wires on SRAM’s prototype electronic shifting system. Nearly six years after rival Shimano released its Di2 electronic shifting drivetrain, SRAM appears to be edging closer to joining the motorized game — and upping the ante in the process. After doing its best to keep things under wraps, and even confuse onlookers with a phony junction box and tangle of wires, the Chicago-based company lifted the lid on its on-going development project via the bikes of the Bissell Development Team. 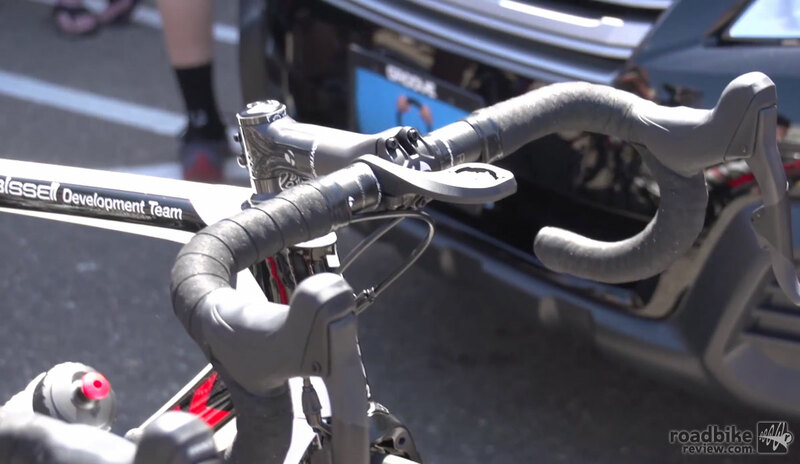 Last week at the start of the Amgen Tour of California several of the team bikes were outfitted with a prototype “wired” electronic shifting system. But by the end of the week, the ruse was up when the wires and junction box disappeared, revealing that indeed SRAM is deep in development of a wireless electronic shifting drivetrain. SRAM brass present at the race wouldn’t comment beyond the standard, we’re always developing new products. But Bissell development riders said they’d been giving feedback for some time and thought the system could be released sometime in the next year. The look, shaping and finish of the levers and front and rear derailleur appear to affirm that notion. These were not rough one-offs, but instead more refined parts that appear to be far along in the development process. The fact that they were being raced on (not just test ridden) is further evidence of how far along this project likely is. 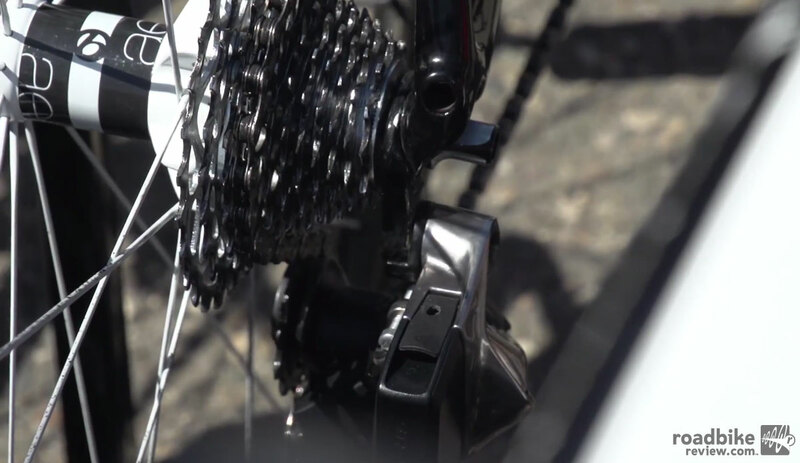 Further examination seems to indicate that motors and batteries are stored inside the front and rear derailleur, and that SRAM is moving away from its double-tap shifting actuation. 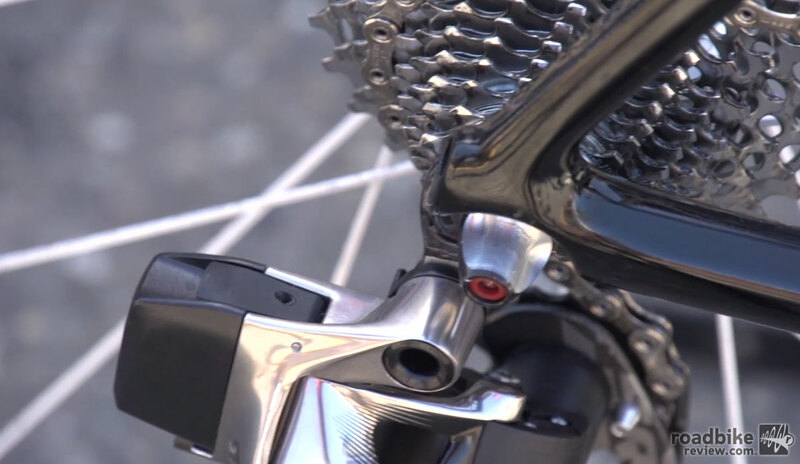 Instead it’s likely that a button on the left lever will move the rear derailleur one way, a button on the right lever will move the rear derailleur the other way, and depressing both levers simultaneously will move the front derailleur up or down. 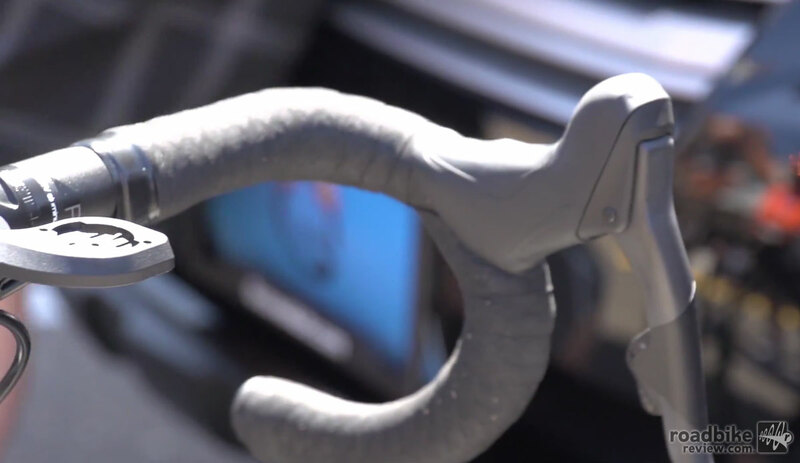 Communication between the various parts is likely achieved via ANT+ or Bluetooth, which means the system could interface with various head units allowing riders to track things such as current gear and cadence. Exciting stuff all around. For more info and a closer look, check out this video from the Global Cycling Network. An avid cyclist, Jason Sumner has been writing about two-wheeled pursuits of all kinds since 1999. He’s covered the Tour de France, the Olympic Games, and dozens of other international cycling events. He also likes to throw himself into the fray, penning first-person accounts of cycling adventures all over the globe. Sumner, who joined the RoadBikeReview.com / Mtbr.com staff in 2013, has also done extensive gear testing and is the author of the cycling guide book "75 Classic Rides: Colorado." When not writing or riding, the native Coloradoan can be found enjoying time with his wife Lisa and daughter Cora. NOTE: There are two ways to comment on our articles: Facebook or Wordpress. Facebook uses your real name and can be posted on your wall while Wordpress uses our login system. Feel free to use either one. We’re that much closer to getting hackers involved with le Tour! Save my name, email, and location in this browser for the next time I comment.